Five incredible animals have been entered into the Purina Animal Hall of Fame for 2014. 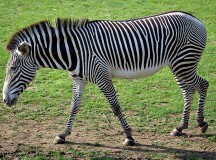 A new study answers a question people have long asked themselves about the animal kingdom: Why do zebras have stripes? If you want to try guessing the answer, stop reading now. Have you guessed? OK, start reading again. According to a new study, a zebra’s stripes most likely help to keep annoying, biting flies off them. Scientists have thought that might be the reason. However, they also had other theories: that the stripes provide camouflage to help them hide from enemies; to confuse their enemies; to help them stay cool; or for a social reason such as to attract a mate. Seven Canadian species that were once considered endangered or nearly extinct are beginning to flourish again, thanks to efforts by conservationists. Canadian Geographic magazine reported in its December 2013 issue that populations of endangered whooping cranes, North Pacific humpback whales, eastern wild turkeys, swift foxes, sea otters, wood bison and peregrine falcons have increased in recent years. 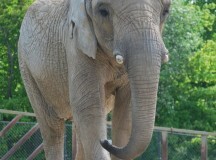 Most of them are no longer considered endangered. 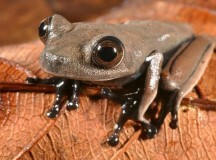 Scientists have discovered 60 species of previously unknown plants and animals living in a remote rainforest in southeastern Suriname. Suriname is a small country on the northeastern coast of South America, just north of Brazil. It is located in a geographic area called the Guiana Shield, which contains more than one-quarter of the world’s rainforest. An expedition of 16 field biologists spent three weeks in Suriname in 2012, exploring the remote, mountainous rainforest region. Thirty indigenous men helped transport their food and equipment by boat and guided team through the forest. Toronto has a new landmark–an aquarium. Nestled in beside the Rogers Centre at the base of the CN Tower, the new Ripleys Aquarium opened last week. 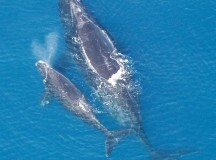 It’s home to more than 16,000 marine animals and 450 species. There are lots of interactive displays to let kids see and experience the fish. 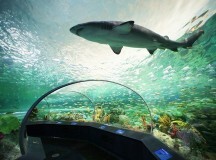 In the “dangerous lagoon,” visitors board a moving sidewalk which takes them on a slow ride through a 97-metre see-through tunnel filled with 17 sharks and thousands of marine animals. Sea turtles and saw fish swim overhead as visitors file past. “Touch pools” feature horseshoe crabs, stingrays and bamboo sharks. The pools are shallow, so people can reach in and gently pet the animals. An exhibit called Planet Jellies houses many different species of colourful jellyfish. A marine biologist, who was snorkelling off the coast of California, has made a fantastic discovery. Jasmine Santana found a dead oarfish so long that she needed 15 people to help her drag it out of the ocean. 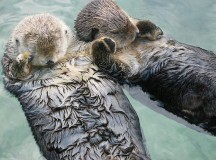 Santana works for the Catalina Island Marine Institute. She was snorkling when she saw something shimmering. It was the body of an oarfish. But it wasn’t just any oarfish–this one was more than five metres (18 feet) long. 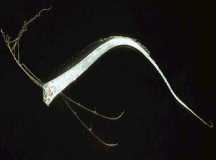 Oarfish are plankton-eaters. They are rarely seen by humans, because they live deep in the ocean–up to 1,000 metres down. They are long, like a “sea serpent.” In fact, oarfish may have been the mythical sea serpents of legend. A massive dinosaur fossil has been unearthed in Alberta. But it wasn’t an expedition of paleontologists who found it. It was a pipeline worker. A man was using a backhoe to move some earth for a pipeline that was being installed near Spirit River, Alberta. The worker hit something he thought was a rock. 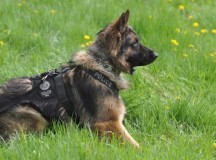 He laid the piece of “rock” to one side, and kept digging, according to CBC News. But it wasn’t rock at all. It was a huge fossilized skeleton—a tail, to be precise. It was about two metres long. The worker stopped digging and called in some experts. A dome-headed dinosaur skull found in southern Alberta is helping scientists rethink some of their ideas about dinosaurs. The skull was found in 2008 by a team of scientists led by Dr. David Evans of the Royal Ontario Museum. The skull is about 85 million years old. The top of the skull is made of a dome-shaped mass of solid bone about 10 centimetres thick. This means the dinosaur belonged to a group of dinosaurs called pachycephalosaurs (“thick-headed lizards”). 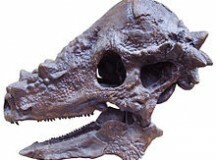 The scientists compared the skull to all of the known pachycephalosaur specimens in the world – about 600 of them. They learned that there are 16 different species within that group, and the skull discovered in Alberta belongs to a species that has never been seen before.